Carlton, by Carton, is the latest album out of an unlikely locale for great rock and roll: Windsor, Vt. The small town is home to the music collective What Doth Life. This grassroots society for the well-being of independent rock is effectively a co-op for music — "a brand with nothing to sell," in the group's own words. Carton certainly fit the bill. Their sound is equally informed by '90s pop-rock, lo-fi indie and punk. But that list of genres doesn't quite capture the band's musical approach. Unable to fit any of rock's previous prescriptions, Carton adopted the term "neubrutalism" to describe themselves. Ryan Hebert (guitars, vocals) defines the word like this: "Neubrutalism is a play off the architectural term of a similar name, where the rough ends are unapologetically exposed, all big and sloppy-like, which I feel is important in art and in life." This ideology informs the band's sonic aesthetic. Raw and unpretentious concrete is used in brutalist architecture. In a similarly honest and unveiled fashion, Carlton features chunky, abrasive guitar tones and hammer-and-tongs vocals from Hebert and drummer Bruce Black. The opening track, "Red Dress," presages the rest of the album. Its midsong breakdown is full of fuzz and janky guitar jabs in lieu of a proper solo, and unadorned, punky angst fills a refrain that confesses, "I'm just a sucker waiting for something to go wrong." Matt Cox trades expertly scrappy guitar riffs with Hebert on songs like "It's Always Almost Christmas" and "The Vatican Industrial Complex." The latter is the album's most compositionally complex song yet avoids over-polishing Carton's characteristic "rough ends." In similar fashion, Cox and Hebert compete for supreme guitar grittiness on "I Don't Know, Actually," a song that finds the band at its heaviest. Overall, these songs are simple and straightforward. According to Hebert, their lyrics concern themselves with "the pressures of work, growing bored with existentialism, needing to mow the lawn, and anxieties about becoming a father." Thus it is beneath the weight and urgency of everyday life that the album's garage sound is born. Think Pavement with a handle of whiskey onstage in a barn. That is what you get on Carlton. 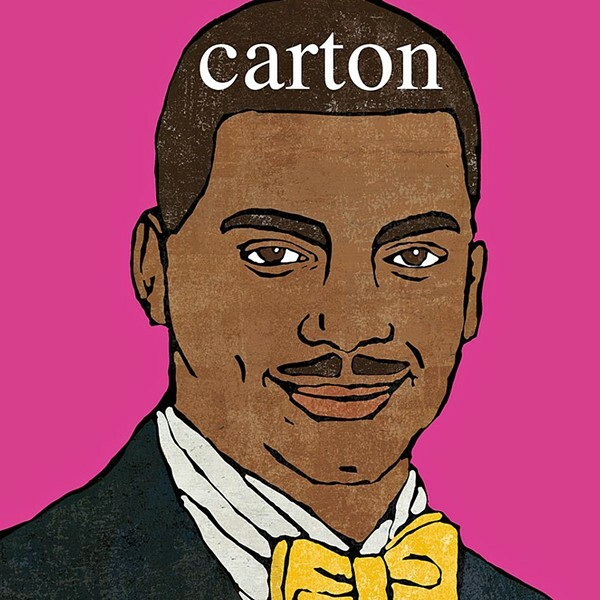 Carlton by Carton is available at cartonvt.bandcamp.com.